“If something is yours, doors will open, and you shouldn’t waste the opportunity. 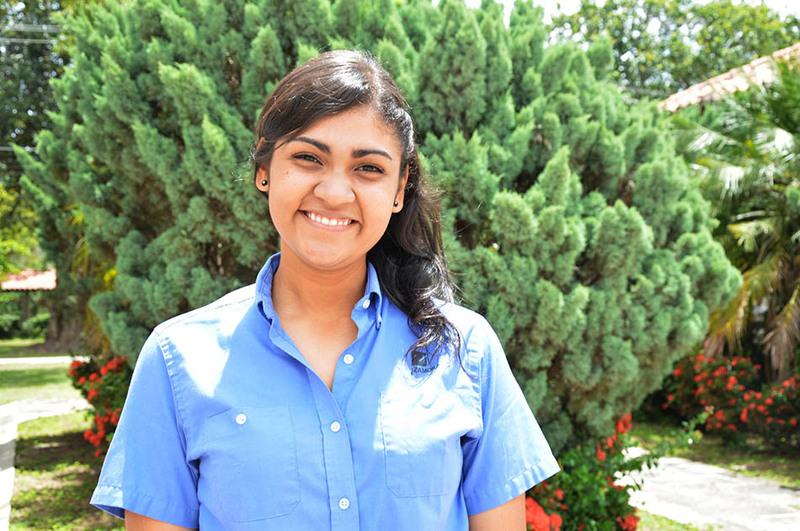 Today, I am trying to be the best, to shine in everything, and place everything in God’s hands.” Gelda Bográn (Honduras), first-year student. 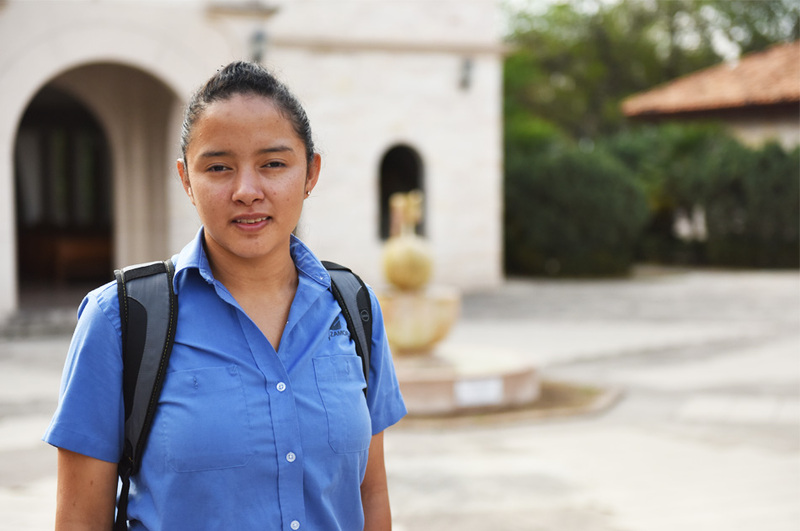 The wish to help her mother ­—and above all, those in need—, being cheerful, charismatic, and self-confident describes Gelda Bográn, from Comaygua, Honduras, which is why she doesn’t know the meaning of giving up. She is only nineteen and fights to achieve each goal she sets for herself. This is her first year at Zamorano, a dream she always wanted to fulfill and now it has become a reality. Since she was a little girl, her grandfather taught her what he knew by taking her to the family’s plant nursery. 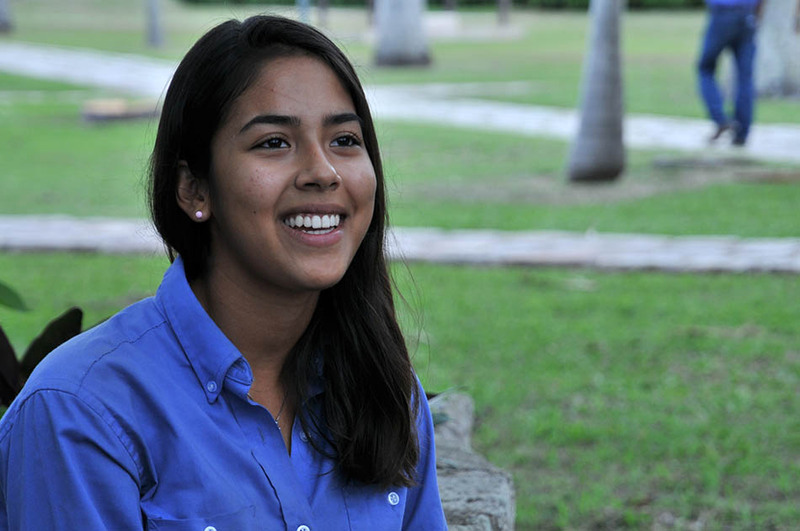 Growing up surrounded by flowers, the testimonials about Zamorano that she heard, and her passion for producing increased her desire to enter this university. 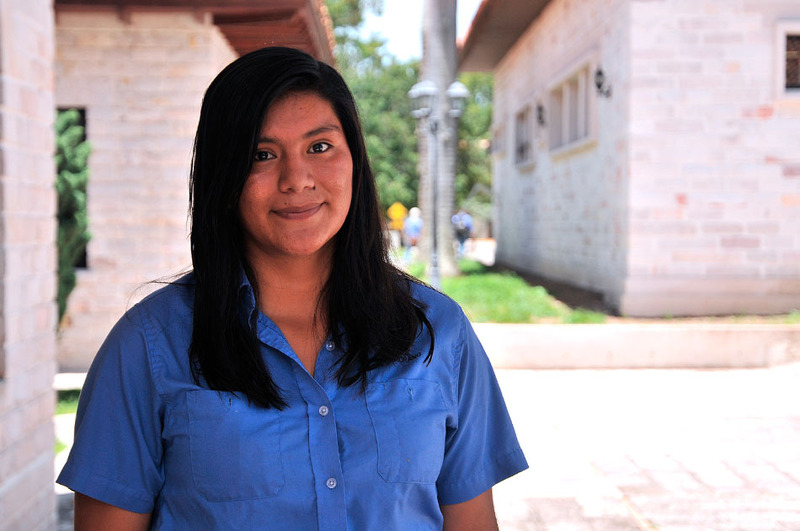 A few days before beginning classes at Zamorano, she received the bad news: she found out that she did not have the financial support to enter Zamorano. “There was a problem with my financial aid, and in December I found out that I did not have the support I needed,” said Gelda. 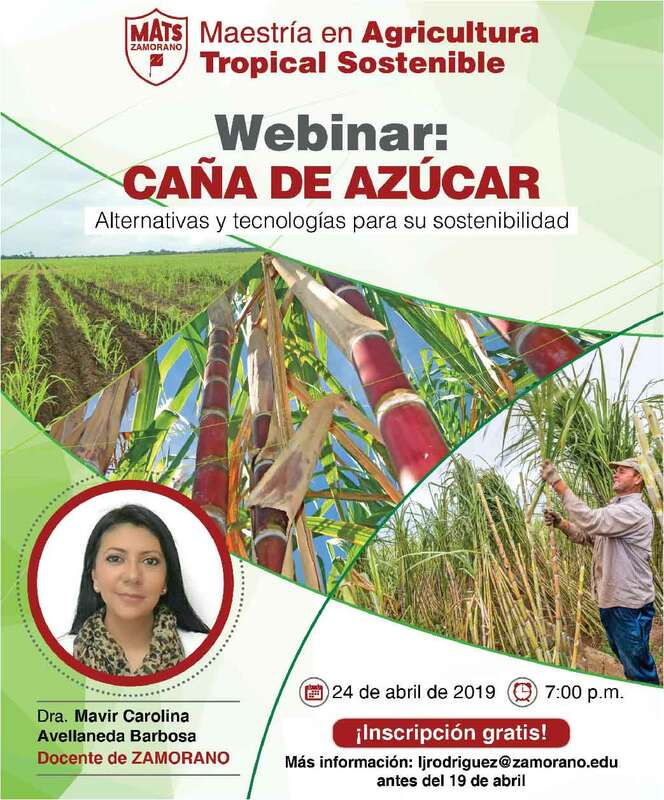 Several Zamorano graduates told her that she could reach out to certain companies that would be interested in forming an alliance with Zamorano. Gelda, with a letter on her hand and her mother by her side, knocked on doors of several companies to ask for assistance to complete her Zamorano studies. Finally, she approached the office of the general manager of Molinos de Honduras, Frank Reese, and asked for his help. Ten days later, she learned that she had most of the funding to finish her studies thanks to Mr. Reese. The agreement between Zamorano and Molinos de Honduras was signed on May 12th. Her distinct determination was fundamental in obtaining the financial aid she needed. 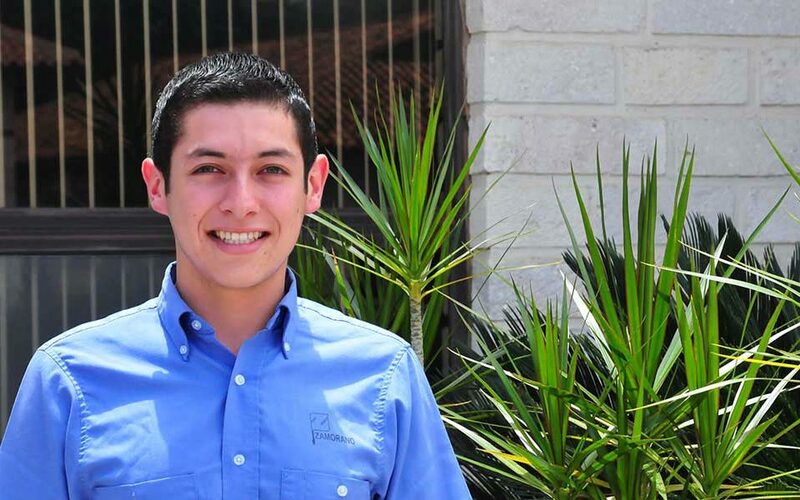 For Gelda, attending Zamorano is a privilege and honor —I know that not everyone has the opportunity to enter. 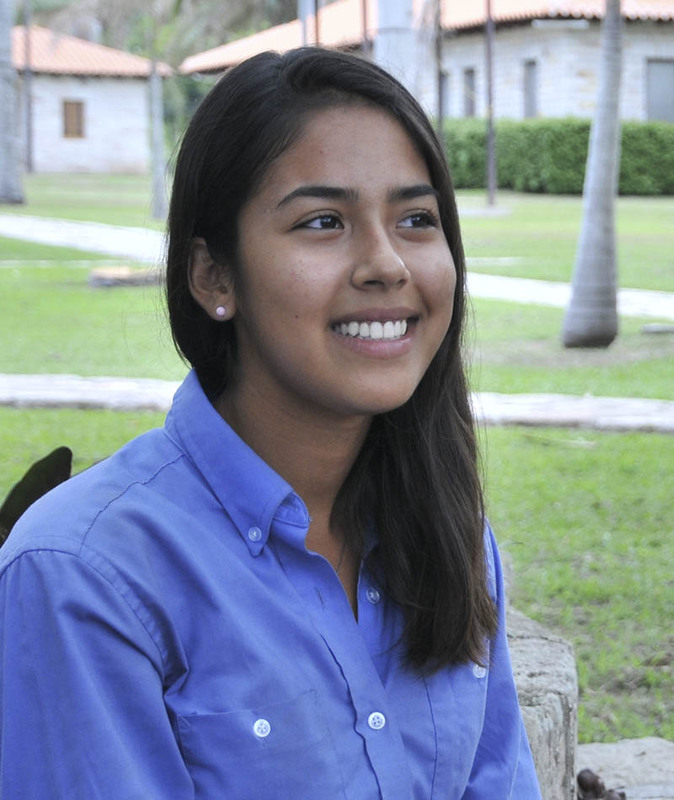 It was a privilege to have been accepted,” she said, motivating future Zamorano applicants to fight for their dreams. 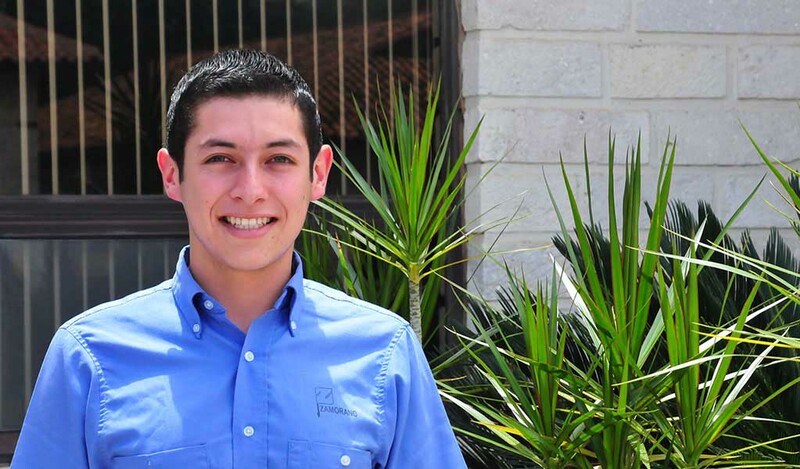 Zamorano fulfills its mission —to educate Latin American men and women regardless of their economic status— thanks to the generosity and vision of a number of benefactors and partners who trust this educational system. Every year, many individuals, corporations, foundations, international organizations, and government organizations contribute financially to the formation of students at Zamorano. However, this is a limited support. Many young men and women wish to attend our institution and hope for an opportunity. Every donation is vital for providing these opportunities.